Pico-8 is a “fantasy console” for making small, retro-inspired games. I discovered Pico-8 thanks to the PocketCHIP, a portable Linux machine by Next Thing Co. I expected Pico-8 and the PocketCHIP to be like many of my other “instant hobbies” where I get into them hard for a brief time and then move on. But Pico-8 turned out to be different. It kept my interest. I made more and more games and continue to make games for the niche platform. I’ve found it scratches my game making itch without a lot of the overhead…and it’s possible to make games on Dad Time, a little bit at a time. The community surrounding Pico-8 is also incredible and, if I’m honest, largely responsible for me sticking with it. It’s easy to make a game and just get it done. Getting a response is another story. However, response and feedback in the Pico-8 world has been wonderful and rewarding. Whether the feedback is positive, negative or somewhere in between, it always makes a better game in the end. Every now and then, you even get some press from the big boys, like PC Gamer. If you’re interested in making games, Pico-8 is a great place to start. It’s easy to pick up in terms of programming and given the low-res nature of the system, making pixel art is easy too. 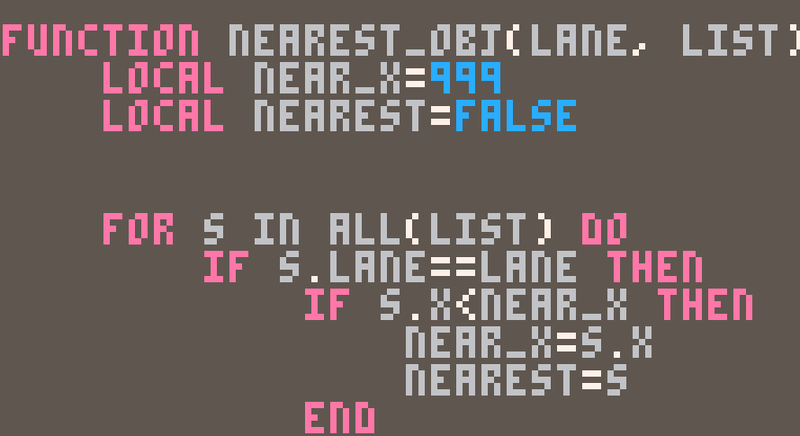 And conveniently enough, Pico-8 is its own IDE, so you can create code, graphics and music with the same tool. It’s pretty amazing and only $15 for a license. Making games has been a hobby of mine since 7th grade, and Pico-8 has been a great step in that evolution. I hope you check out some of my games listed below and give them a try. You can play all of them in your web browser, on your PocketCHIP or with your Pico-8 desktop client.